Perfect for collecting, racing and trading! These MINIS engines are full of fun! With colourful styles and designed to be rolled along at fast speeds, this assortment makes playtime an exciting experience for your child. 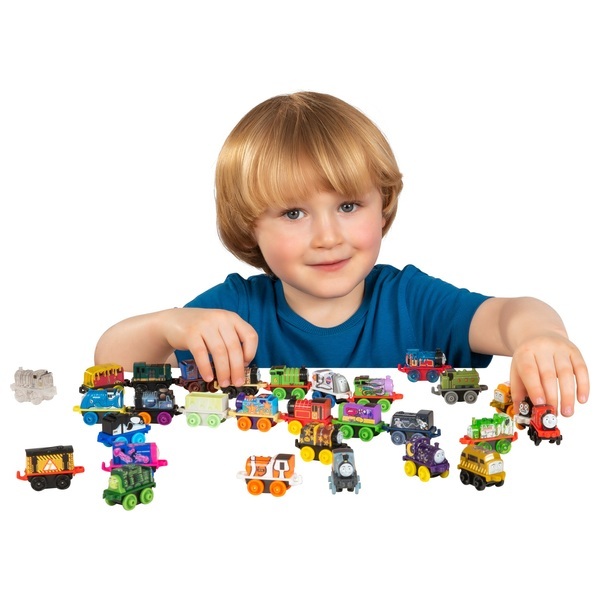 Send these MINIS engines zooming across surfaces and tracks to see them in action! Best of all, this 30-pack comes with 3 special edition MINIS engines with beach-themed designs! Compatible with Thomas & Friends MINIS (sold separately and subject to availability).